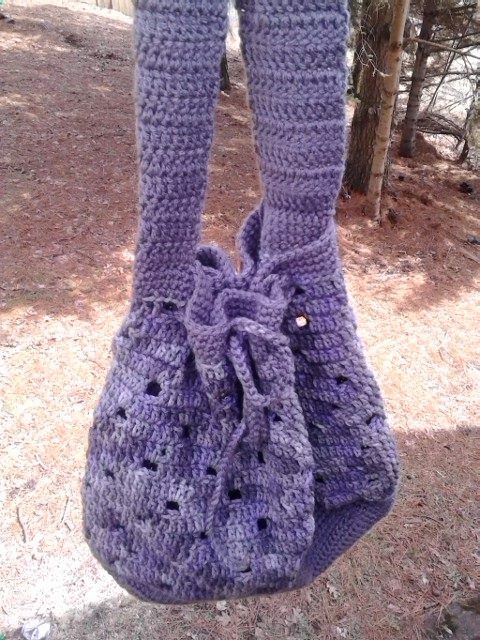 A Day In My Life...Crochet & Reviews: My bag is done! Hip Squares Beach Tote! My bag is done! 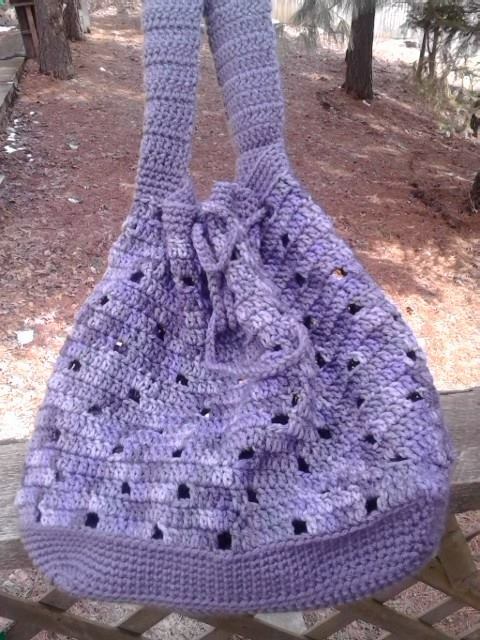 Hip Squares Beach Tote! I am a little under the weather although it was 60 degrees here in West Virginia yesterday, today it's rainy and yucky. I just had chemo a few days ago and I am not up to my usual self. Please forgive me if this post is lacking. This was the best bag I have ever made. I am super proud of it. Although her's is made in cotton, and mine is acrylic there is hardly no difference that I can tell. I made mine in the trusty Red Heart Super Saver in Artist. This pattern went super fast, and it's easy to understand. I can't wait to carry this bag. It's in shades of gray and a hint of gray/purple. 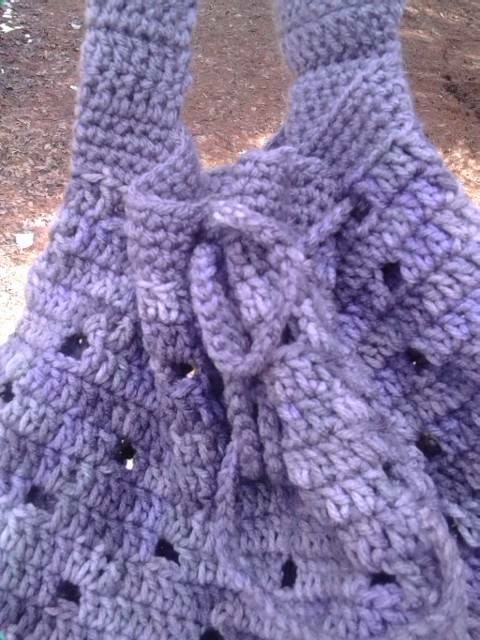 There is a nice drawstring that just goes in and out of the holes I made. It adjusts well, closes up nice, and I did not line it although it could have but I don't think it matters. Nothing I have but an ink pen would come out of them and I am sure not going to let a stray ink pen destroy all my work this past week! This bag has a nice handle too. Its wide enough that it does not dig into your shoulder and its sturdy enough to hold the weight of the bag. Why don't you try and make this pattern. You will be super surprised, and it would make a great gift. Sorry so short but my health just wont let me today. Gotta love Downton Abbey Yarn!